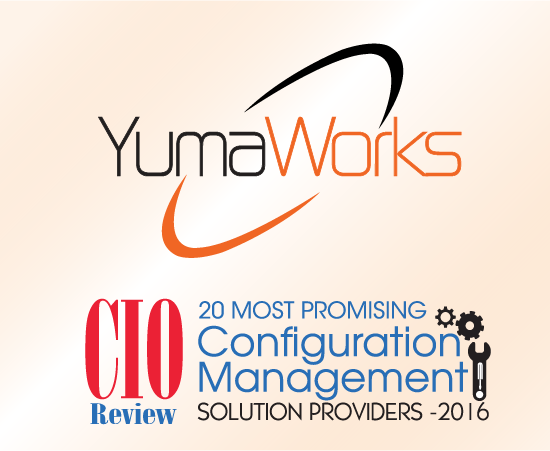 FREMONT, CA—YumaWorks, Inc. is featured as a top Configuration Management Solution Provider in CIO Review for its expertise in automated development of servers for provisioning devices and services across networks. YumaWorks’ position in CIO Review’s list of the 20 Most Promising Configuration Management Solution Providers for 2016 is based on evaluations of YumaWorks’ strengths in providing YANG-driven development automation tools for NETCONF, CLI, and RESTCONF network management interfaces. The list was selected by a panel of experts and members of CIO Review’s editorial board to recognize and promote innovative technology entrepreneurship.